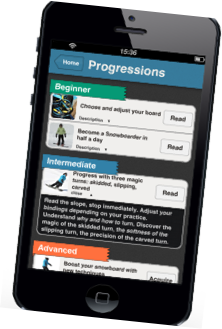 TheSnowCoach is your ever-ready App for smartphones and tablets (Apple, Android) to make you progress. 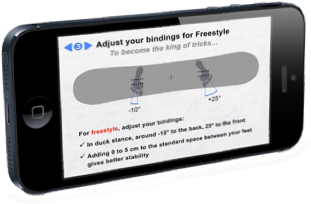 No matter what type of Snowboarding you are a fan of, (Freeride, Freestyle, Alpine, Freecarve, etc. ), you can learn quickly and without risk of injury. 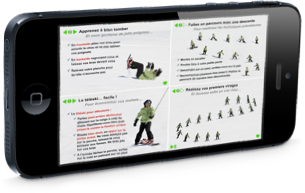 A good snowboarding instructor is irreplaceable because he will personalise your learning experience, but TheSnowCoach can help you progress on your own. You just need to take a few precautions and follow a sequence of progressive exercises. TheSnowCoach is born from over 20 years of experience in teaching at the University. In our App you'll find the essential foundations illustrated by awesome animations, great photos and articles. If you’re a beginner, you’ll find out how to have fun attaining beautiful turns. 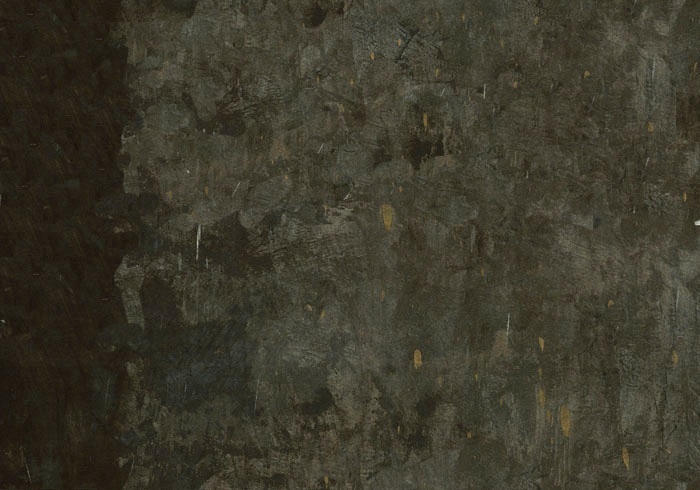 If you’re an experienced rider, you’ll discover something new each time.